This project ended successfully on 22/6/2013 12:00! A handshake from Martin Schick. And a digital copy of the book. A handshake from François Gremaud. And a digital copy of the book. A handshake from BOTH Martin Schick AND François Gremaud. And a digital copy of the book. A choice of a hug or a kiss from Martin Schick or François Gremaud. And a digital copy of the book. A hug and a kiss from Martin Schick and François Gremaud. And a hard copy of the book. A visit to all of the places featured in the trailer with the artistic team and the special effects revealed! And a hard copy of the book. The chance to be a part of our anniversary project at THIS BOOKSHOP IS GREAT during the 30th Belluard Festival from 28.6 to 6.7 in Fribourg. And a hard copy of the book. 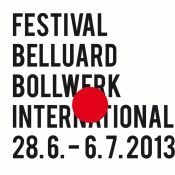 A 1 hour workshop in «Bad Acting» with Martin Schick and François Gremaud during the Belluard Festival in Fribourg from 28.6 to 7.7 (date tbc). And a hard copy of the book. A diploma certifying that THIS PERSON IS GREAT signed by Martin Schick and François Gremaud. Two hard copies of the book and an invitation to the opening night of the Bookshop at Belluard Festival on 28 June. A dinner for you and 3 friends of Sally De Kunst’s famous PEPPERED STEAK in the presence of Martin Schick and François Gremaud during the Belluard Festival in Fribourg from 28.6 to 7.7 (date tbc). Two hard copies of the book and an invitation to the opening night of the event at Belluard Festival on 28 June. A dinner for you and 3 friends of Sally De Kunst’s famous PEPPERED STEAK in the presence of Martin Schick and François Gremaud during the Belluard Festival in Fribourg from 28.6 to 7.7 (date tbc) PLUS THE RECIPE signed by Martin Schick and François Gremaud! Two hard copies of the book and invitations to the opening night of the event and the opening party at Belluard Festival (28 June 2013).